PIANO CONCERTO IV: Tobias, Schumann, Beethoven. 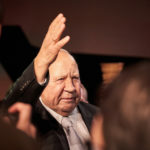 Elina Nechayeva (soprano), Kalle Randalu (piano), ENSO, conductor NEEME JÄRVI. MUSIC OF THE FUTURE IV: Ülo Krigul, Eino Tamberg, Lotta Wennäkoski, Mayke Nas, Alex Nante, Ho Chi So. 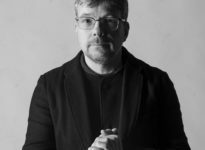 Petri Kumela (quitar), ENSO, conductor OLARI ELTS. CITY LIGHTS IV: Brahms. 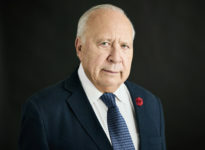 Elina Nechayeva (soprano), Atlan Karp (baritone), State Choir Latvija, ENSO, conductor NEEME JÄRVI. 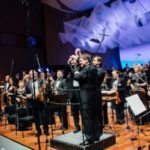 The Baltic Symphonic Festival is an annual united celebration between the Baltics states, where this year, the opening concert included the three national symphony orchestras into one concert, with three conductors and four varying pieces. 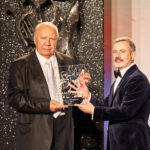 The distinguished Estonian conductor Neeme Järvi was honoured with Gramophone’s Lifetime Achievement Award. The Choral Award went to a BIS recording of music by Alfred Schnittke and Arvo Pärt sung by the Estonian Philharmonic Chamber Choir conducted by Kaspars Putniņš. 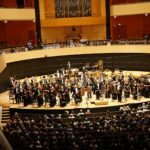 In the centenary year of its independence, Estonia stepped into the limelight at the 2018 Gramophone Classical Music Awards with two awards and as the country whose National Symphony Orchestra provided the live music-making. Estonia 100 is an Associate Sponsor of this year’s Awards. Viron kansallinen sinfoniaorkesteri juhlisti myös maansa itsenäisyyden satavuotisjuhlaa Lahden Sibelius-festivaalilla.